From my childhood I had been hearing about Kashmir Janat Nazeer (Kashmir a paradise like place), so I always had dreams of going there but haven’t got a chance to visit these areas since I startedÂ travellingÂ in 2000. 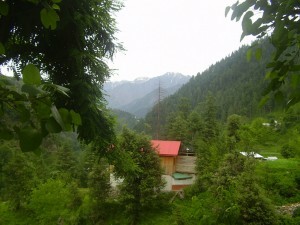 In year 2012 beginning when I started planning for my tour in June , I had in mind Kaghan and surrounding areas. I discussed about this with Shujaat and he immediately asked me to change this to Kashmir. I started researching and studying about our plan to Kashmir. In this regard, I like to take help from Â PakWheels Forums, which has been very helpful for me in planning my trips in Pakistan. I got to know about a Tour Group who were helping in touring. I finalized and booked a plan with them. 9th June – Saturday: Left Karachi with my friends via Daewoo Bus to Rawalpindi. 11th June – Monday:Â We visited Kashmir Point in morning and it was very peaceful at that time. Usually in evening time that area gets very crowded. We left Murree at noon and again we faced the same traffic blockage and less traffic on Motorway due to that Urs (as such Urs usually remains for 2-3 days). It took time but finally we reached Muzafarabad around 6PM. There I contacted the Tour Group people and they helped us took a room in a Hotel in Muzafarabad. 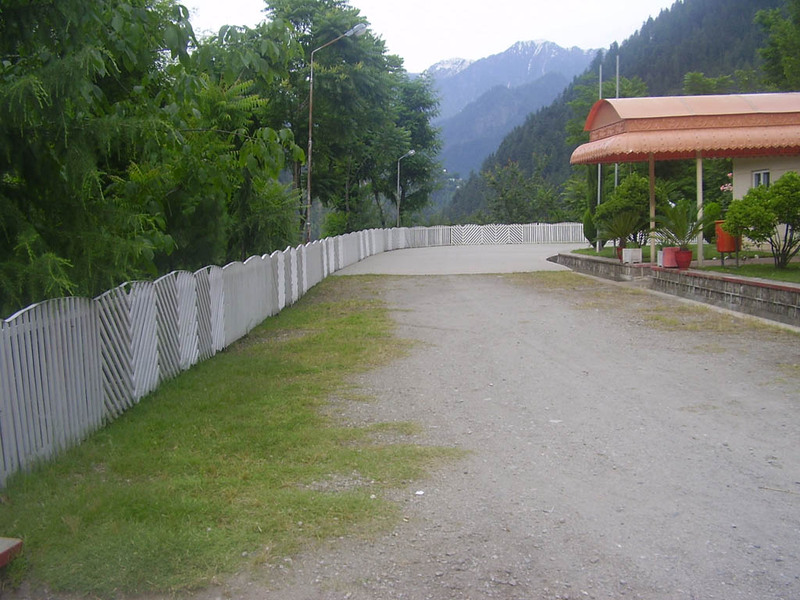 12th June – Tuesday:Â We left Muzafarabad in morning for Kutton. I would say now its Kashmir. The journey we started for Kutton was an extra ordinary one. I watched River Neelum flowing, Indian border, breath takingÂ sceneriesÂ and acknowledged that it was not wrong to say this Janat Nazeer. We reached Jagiran Resort House in evening, while stopping at Kondal Shahi and other areas for taking pictures,Â doli rides etc. It was aÂ pleasantÂ journey. Staying in Jagiran Resort House was an experience in itself. This resort house has been built by Govt. 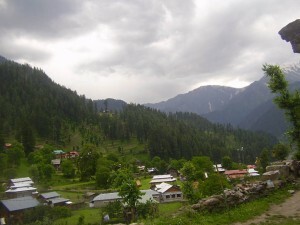 of Azad Kashmir and is an extra ordinary place. The surrounding areas and views from resort house are simply majestic. 13th June – Wednesday:Â Early in the morning we left resort house for Keran / Kel. 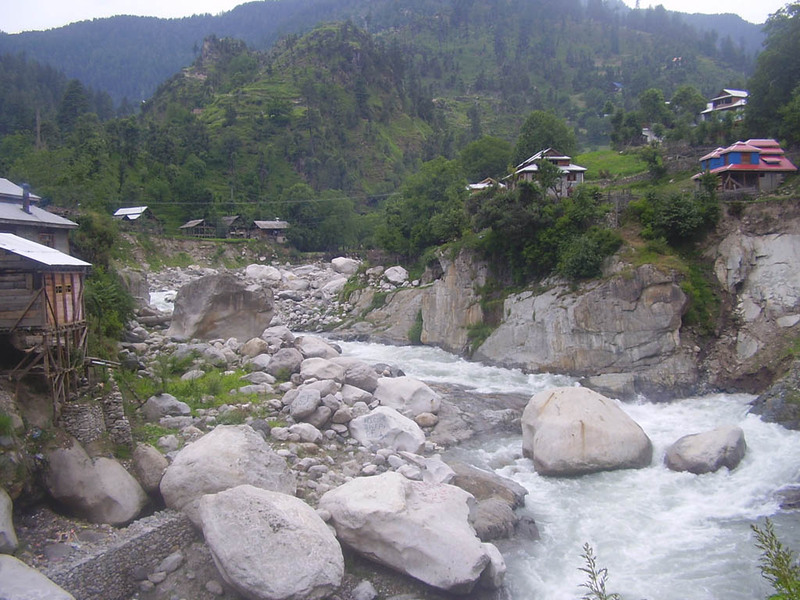 We went till Sharda and couldn’t go to Kel as we had to come back for night stay at Jagiran rest house. This whole journey from Kutton to Sharda was very good. The roads were clear and views were fantastic. I had been to some other Pakistan’s NA areas e.g. Swat, Dir, Chitral and liked Kumrat, Dir the most till then. 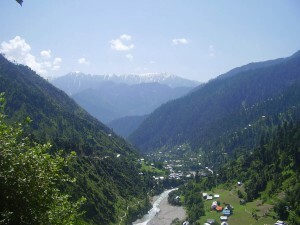 But after visiting Kashmir, I just fell in love with it and we enjoyed every bit of our journey there. After visiting some old ruins and other areas in Sharda, we started our journey back to Kutton. On our way back it started to rain and when reached Kondal Shahi it was completely dark and raining cats and dogs. We took some stuff from the Bazar and left Kondal Shahi. 14th June – Thursday:Â We had plan to go to Jagiran Power house by doing a trek. So except for one friend all 4 others left for it. We did a trek for an hour or two so and then had to get into a Jeep which was going there as it was very steep :). There at Power house we spent some time and got back (once again by walk and some Jeep ride). Upon reaching the resort house, a bad news was waiting for us. The van which was given to us by the Tour Group was called back by them without giving us any reason / update. I inquired from the resort house people and confirmed no body from Tour Group had approached them to update us about it. They just called the driver and driver told our friend who was in resort house and left. It was totally unprofessional. We had already paid 70% of amount agreed upon to Tour Group and rest was supposed to be paid when reach back to Muzafarabad. This incident really disturbed us. As that same day we were supposed to leave for Muzafarabad. After discussing with my friends, we decided to go ahead with the actual plan and don’t wait for the Tour Group people. This descision was quite risky as we were far away in an area where finding rides were not easy but we took the risk and were hoping to find something on our way till Kundal Shahi, from where we were expecting to get a Taxi to Muzafarabad. So we left resort house and fortunately walking for an hour or less we found a ride which dropped us at Kundal Shahi. From there we took a Taxi till Muzafarabad, where it dropped us around at 6 PM. As per our original plan we were supposed to stay in Muzafarabad for night but one of our friend suggested that we should leave and see if we could reach on time to Rawalpindi and then Mardan. Fortunately we found seats in last Qadri Coach which was leaving for Rawalpindi. We took the Coach and started our journey back to Rawalpindi. While travelling in that Coach one of the person from Tour Group contacted us and excuse for whatever happened. But I strongly feel whatever they did was very unprofessional. And I would certainly not recommend them to anyone. This incident also taught me a lesson to trust only trustworthy people. We reached Rawalpindi at 11 PM and were amazed to see life in full swing at that time which is now quite rare for Karachi people 🙁 due to certain reasons. We easily hired Hiroof and reached our friend’s house at around 2AM or so in Takhte Bhai. We tried to look for famous Chapal KebabÂ but they said they were finished so just had some tea. 15th June – Friday:Â I left Mardan for my village and from there flew to Karachi on Sunday 17th June. 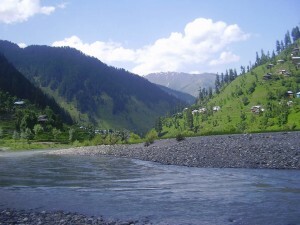 I believe Kashmir is a place to visit again and again. I see there are two routes which one could take: One is via Muzafarabad and then areas coming on that route and the other is Bagh and then areas coming on that route. So I will try to explore areas on both routes. 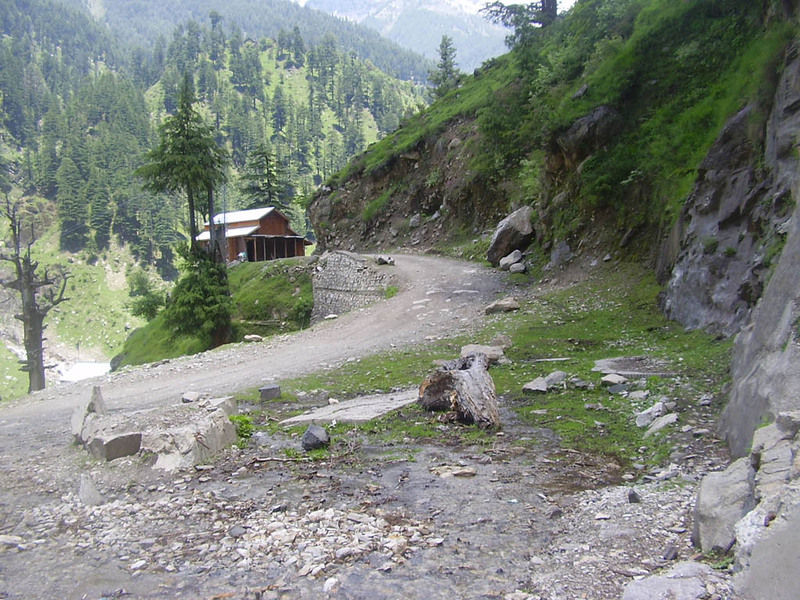 I also found the roads in Kashmir well built (as compare to Swat and Dir), people are friendly (as compare to Murree and Kaghan but not better than Swat). So I would say it is accessible, affordable and beautiful. Both family and with friends one could enjoy this.